While there are other ways to book your accommodations, We invite you to book online at the official website www.simpsonbayresort.com, where you will find the best rates available, dealing directly with the resort in terms of reschedules, changes, and special requests free of charge. Thank you for considering Simpson Bay Resort & Marina for your next trip! 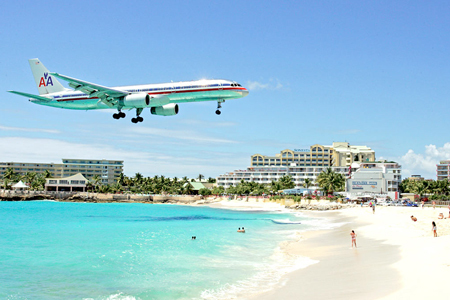 Enjoy Simpson Bay Resort & Marina an Award Winning St. Maarten Resort and experience all that St. Maarten has to offer: powder white sand beaches, warm turquoise blue sea, fine dining & entertainment, shopping and much more. Simpson Bay Resort & Marina received a 2014 TripAdvisor Excellence Award and it is currently ranked as #3 in top St. Maarten Resorts. Simpson Bay Resort & Marina is ideally positioned on the beach, midway between the island's most popular night spots and shopping. 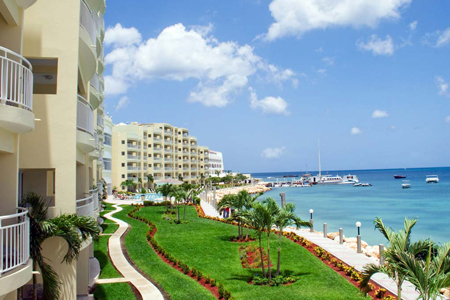 Fine Restaurants abound to tempt your pallet and an Activity Center makes it convenient for excursions to dive and snorkel spots along with a variety of water sports. 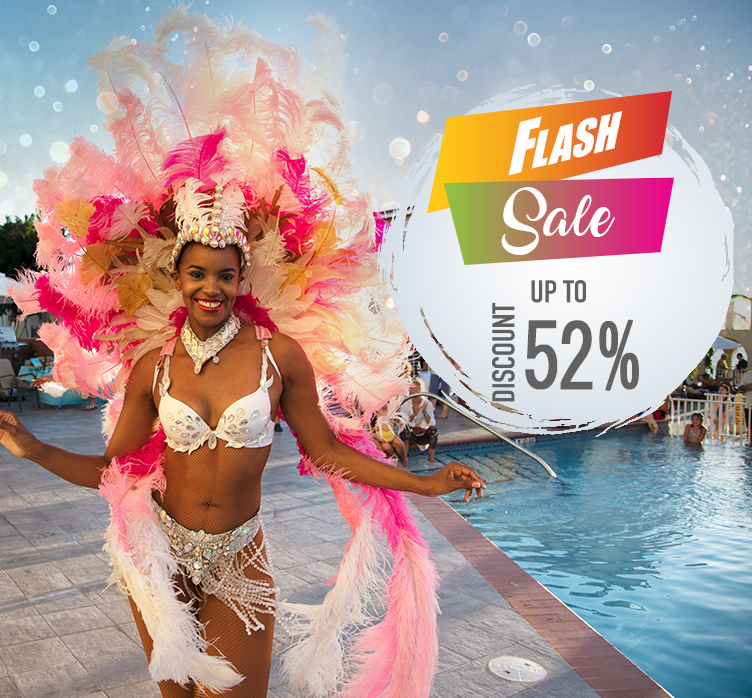 With its sheltered beach and extensive pool areas, tropical gardens full of hibiscus and bougainvillea, varied activity program, water sports, dining and evening entertainment, Simpson Bay Resort & Marina is a favorite with visitors of all ages. Simpson Bay Resort & Marina offers spacious and fully equipped suites, most of which have views of Simpson Bay and the Caribbean. Enjoy the recently renovated units, tastefully decorated with a tropical theme and all-new appliances. All units have kitchens, ceiling fans and air-conditioning in the bedrooms. There is also a terrace or balcony for al fresco dining or a sunset cocktail. 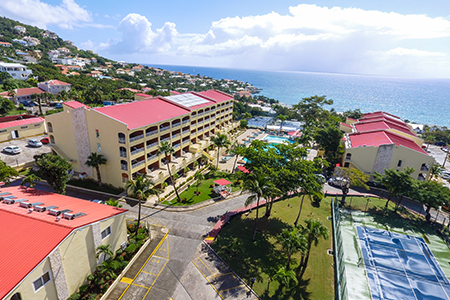 Simpson Bay Resort & Marina has the right size unit for you and your family: Studios accommodating two, One Bedroom units accommodating four or Two Bedroom units accommodating six. The Villas are located on the shores of Simpson Bay, next to The Resort, with spectacular Caribbean views. At The Villas you are surrounded by five-star comforts and you have a front row seat at sunset for unfettered views of the Caribbean! A privileged waterfront setting, The Villas at Simpson Bay Resort have an unparalleled location on the shore of Simpson Bay, a stone's throw from beaches, water sports, restaurants, bars, casinos and shopping.